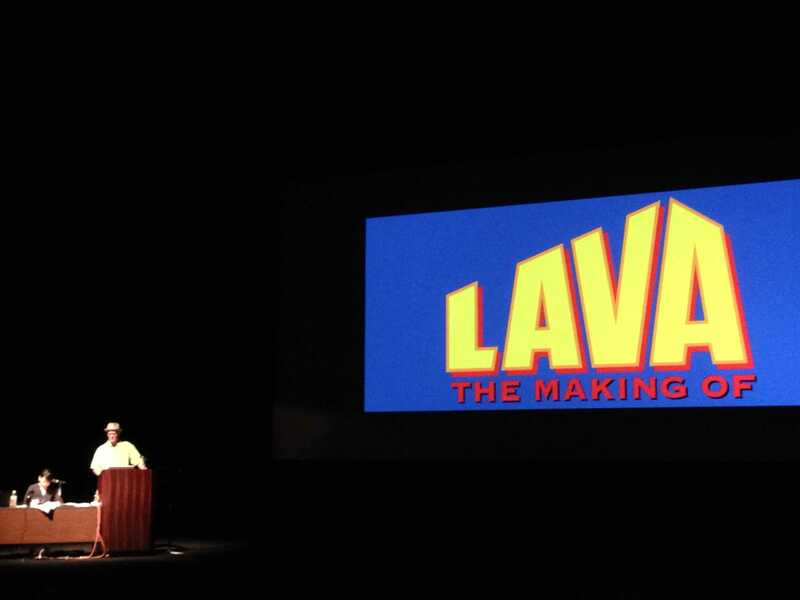 On August 22, day two of the Hiroshima Animation Festival, PIXAR screened the world premier of their new short, “LAVA.” It is basically a cute love story, with the use of the word “lava” instead of love. Which makes sense, because the main characters are volcanoes. The director Jim Murphy called the two volcanoes Uku and Lele which go together “ukulele” which we hear throughout the film. 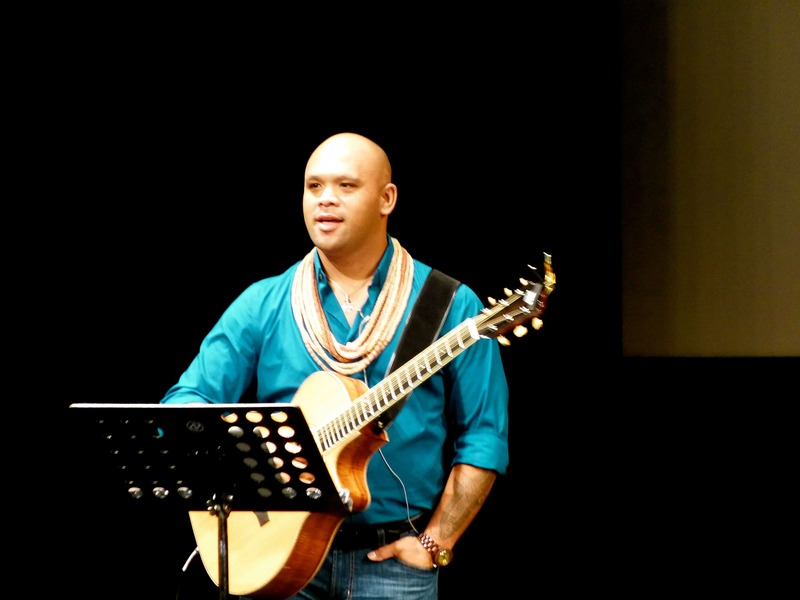 After the presentation, Kuana Torres Kahele, the Hawaiian singer who voiced the narrator and Uku the Volcano in “LAVA,” sang two of his songs. 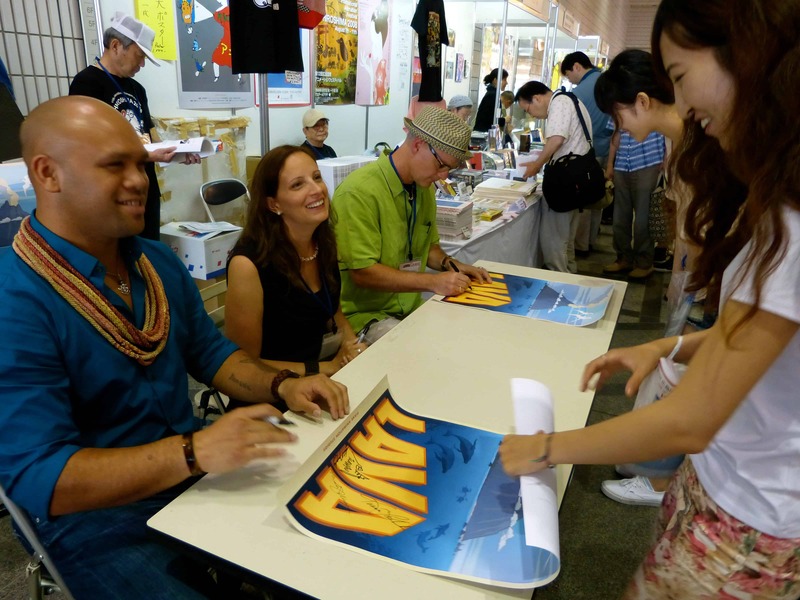 After the program, Jim Murphy, producer Andrea Warren, and Kuana Torres Kahele signed posters. Even the festival’s mascot, Lappy, got a signed poster! After the screening of the short, the presentation, and a long line of poster signing, my sister, Kira, and I had the priviledge of interviewing the producer Andrea Warren and director Jim Murphy. We learned a little bit more about some of their thought process in creating their characters and the creativity behind the short, including why they didn’t name the volcanoes in the short, and which words were used in the lyrics and why. 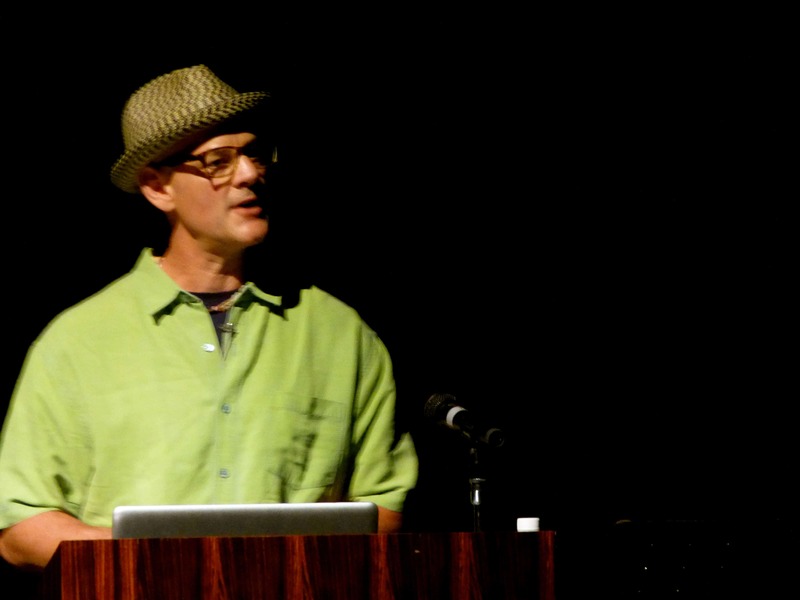 For those interested in going into animation, we also found out firsthand some important aspects on getting to work at PIXAR, and virtually any other animation studio. The most important thing you can do to get into animation is work on your drawing and storytelling. You can use any program. If you like it and it is accessible to you, it is great software. Work hard and be patient. You won’t know what you like until you do things you don’t like. Make a portfolio of your work. Put effort into your portfolio, and send it in when you want to apply to a studio. Show a wide variety of what you can do. Rina: For people who want to get into PIXAR, or get into animation, how would you recommend doing that? Warren: Well I think it depends on what you want to do at PIXAR. There is actually a lot of different kinds of jobs. There is animation, and I assume that is what you are talking about. Well, Jim is an animator, so I will let you answer that. Warren: [there are also] fun challenges, things like… “What does a monster factory that works on scream power look like?” It can look like so many different things, but the designers get to figure out things like that. Murphy: And then if it is animation, then you want to become, well you want to work on your drawing. No matter what you do you want to work on your drawing. You want to work on your drawing because it is your way of communicating your ideas. So you want to work on your storytelling and drawing. In animation you want to become a student of human behavior.